With over 200 games already available on the Switch eShop we're seeing most genres and game styles covered, to varying degrees. Platformers, puzzle games, shooters, FPS, racing - they have been catered to in one form or another. 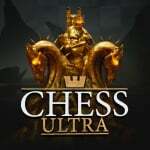 A welcome recent addition is Chess Ultra by Ripstone, filling another gap and giving us an experience that seems perfectly suited to the hardware. Chess is one of the world's oldest and most involving games, from quick matches with friends in the pub right up to Grandmasters competing for world titles. The option to play on the sofa or on the go is a big benefit for this title on Nintendo's system, and with the game fresh on the eShop we caught up with Ripstone's Head of Development, Matt Southern, to learn more. From Tutorials to quick offline games and full tournaments online, we were keen to learn more about the game's key features and how the team worked to make the most of the Switch hardware. With Chess Ultra developed internally by Ripstone, can you first tell us a little about the team and how it got started? Here at Ripstone we’re known for being an independent games label that offers a fairer, better deal to developers. We were founded in 2011 by publishing and production veterans and our focus was, and still is, getting indie games onto the digital stores of home consoles and PC. We’ve published numerous games in collaboration with external studios, including Pure Pool, Ironcast and Stick It To The Man. Whilst working with these indie developers, we started building a small in-house team to help with some of the games they were working on, as well as taking on projects such as bringing Plague Inc. Evolved to console. Eventually our internal team was big enough to develop a game ourselves, and so we began planning the game we now all know as Chess Ultra. We’re a small team but very experienced, and have worked on large projects in the past including Forza Horizon 3 and Driveclub. As a result, we love making small, focused games with jaw-dropping graphics. What drove the initial decision to produce a chess game for console? You have to have passion for the games you create. You want to leap out of bed every morning to go to work, and this really played a big part in choosing to make Chess Ultra. It was the right ‘first’ game to make 100% in-house and we’re incredibly proud of the outcome. Back in 2012 we published our first chess game Pure Chess, which saw great success with over 2.5 million players taking to the board. 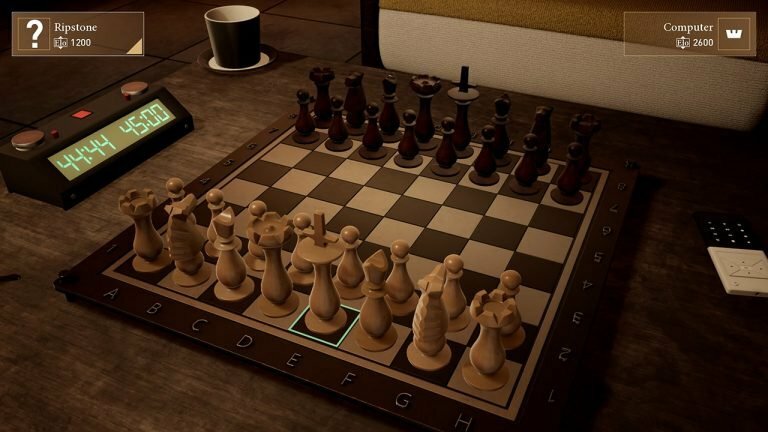 We learnt a lot whilst publishing Pure Chess and this sparked new ideas for an even better chess game that would take advantage of current gen console and PC capabilities. The arrival of console specific features such as enhanced visuals and Joy-Con controllers kept us on our toes so we were constantly tailoring Chess Ultra to be the best it could be on each individual platform. Going back to early in development, what were your core objectives in terms of features in Chess Ultra? What drove that decision making? Our players and the wider chess community absolutely drove the decision making. We all played a lot of Pure Chess and gathered as much community feedback as we could. The whole team were dedicated to making Chess Ultra the best chess game possible so hearing what our players liked and disliked was really important. We also took advice from a series of Grandmasters and International Masters, who provided insight into skill levelling whilst putting some of our own chess skills to shame… but let’s not talk about that. Aside from this we compiled a list of core features that we felt were high priority for Chess Ultra – seamless online play, top notch 4k and HDR visuals and support for Virtual Reality. 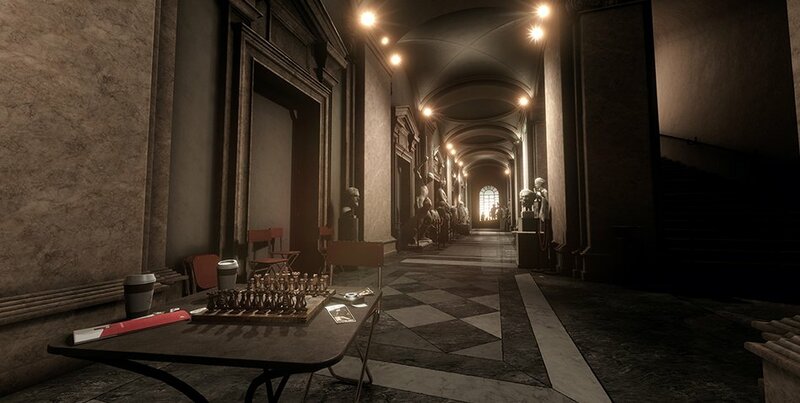 We have a team of incredible artists and programmers that can really bring an environment to life, and to say that they were excited by the prospect of creating the first ever chess game in 4k would be an understatement! For Nintendo Switch, we wanted to make use of the unique features of the hybrid console’s design, and utilising the screen as a more traditional chess board for local co-op was our main objective. We see that there are extensive Tutorials available; can you talk about these? Are they catered mainly to beginners or players at various levels? Both! They’re designed to help people who’ve never played chess before to get up to speed fairly quickly, and soon after they’ll find themselves being confident with deeper and more interesting elements like the en passant move and tactical motifs like Fork, the Pin and the Skewer. In Challenges there are various move-related tasks, but the 'Historic' category is certainly interesting. Can you talk about the level of research that went into producing these challenges based on classic matches? Chess has been around for over 1500 years, meaning competitive chess has a rich history filled with incredible moments of success and failure. We wanted to re-enact a selection of these moments for our players and that is exactly what the Historic Challenges in Chess Ultra do. You are invited to pick up where a Grandmaster left off, perhaps after a particularly bad blunder or a missed capture, to potentially change the outcome of the game. To decide on which classic games to include, we researched the top 100 chess games in history and delved into the strategy, positioning and outcome of each one. Some of the matches that made it into Chess Ultra were played by Grandmasters you may never have heard of, but the games highlight mistakes and successes that have shaped chess over the past 600 years. We showcase the plays of 13 year old Bobby Fischer, right through to those of current World Chess Champion GM Magnus Carlsen. For those unaware, can you outline the offline options for matches, including Switch-specific local multiplayer options? There are 10 levels of AI difficulty to challenge in offline matches, ranging from Novice right through to Grandmaster level and a series of different time controls. You are also required to select an environment and chess set, which can really impact the atmosphere of each game. Playing in Woodburn Manor, which is the current most popular online environment, with the classic Staunton set feels very different to battling it out in the pits of Gomorrah with the Fire and Brimstone set, so you can have some fun mixing and matching the sets to suit your mood. In terms of the varied online modes, can you first tell us about the process for implementing cross-platform play? Was this relatively straightforward or complex to put in place? The decision to implement cross-platform play was an absolute no brainer for us and plans to include the functionality were in place at the beginning of development for Chess Ultra. It sounds like it should be a complicated process but when accounted for from Day 1, it’s not. We’ve had great support from platform holders in regard to implementing the feature and we’re looking forward to Nintendo Switch players being able to settle their score with players on other systems! It’s fair to say that we’re living in hope that one day all platforms will be able to play together, as it’s what the players want and it’s what we want too. How important is the 'Tournament' mode for the experience? Aside from seasonal Ripstone tournaments, how hopeful are you of seeing the Switch community embrace and organise their own contests? We’re really hoping the community run with it and have as much fun with it as we do. (Although Chess Ultra tournaments in our office can be INTENSE.) We added the Tournament options to make it as easy as possible for players to connect with each other in a more competitive environment, and we’ve seen a great response from the first official Ripstone Tournament earlier this year. The Nintendo Switch has been one of the most exciting new developments in videogames this year and we’re all big fans, so fingers crossed new players connect with what we’re trying to achieve. Cross platform online play provides scope for even more tournaments, more entrants and a better experience for players. With single match online games you offer various options, from no time limit to live clock-managed games. Can you outline these options for our readers? We spent a lot of time exploring different styles of chess during development, and it quickly became clear that since the launch of Pure Chess in 2012 there has been a shift in how chess is played and consumed online. Speed chess (also known as Blitz) has become hugely popular and is a great way to shake up the traditional style of time controls; restricting time either per game or per individual move. Chess Ultra includes 5 time control option ranging from Blitz, which provides each player just 5 minutes to complete an entire game, to Marathon, in which players have 24 hours to make each move with no overall time limit. It adds an extra layer of complexity to the game and brings it up to date with the current chess landscape online. Which online mode and game setup is mode popular so far in Chess Ultra, across various systems? The Standard timer mode is by far the most popular online playing option. This mode provides each player with 45 minutes to complete an entire game, and is a time control very often seen in modern chess competitions. Woodburn Manor is the most popular environment, along with the classic Staunton chess set. In terms of developing for the Nintendo Switch, were there any particular challenges in that process? It was a real pleasure to develop for Switch, and an interesting learning experience for us. You never lose the buzz of opening a box with a brand new console development kit in it, and ‘Switch day’ was no exception! The biggest challenge was trying to squeeze all of the detail from a 4k game onto a non-4k device, but the end result is beautiful. Because Chess Ultra was developed with 4k detail from the beginning, the Switch version has really benefited and the game is as stunning as it could possibly be. What's the best feature of the Switch in relation to Chess Ultra, from your perspective? Using the Switch as a chess board. It’s like the perfect hybrid of technology and tradition. As soon as the console was announced we wanted to implement the feature and got straight to work once our development kits arrived. The Switch shipping with two controllers is also a huge benefit for a game like Chess Ultra, as it’s ready to go for local multiplayer straight out of the box. Looking forward, can you outline some of the DLC that's planned for the game on Switch? You’ll have ‘check’ back later for full details! 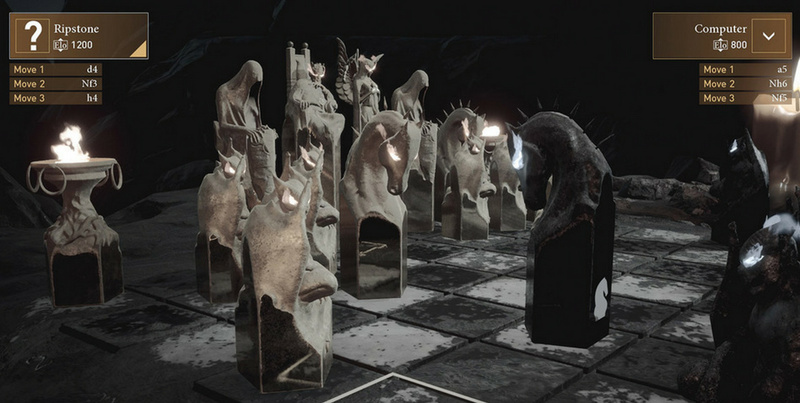 (Sorry, bad joke) For now, we’re working on bringing pre-existing Chess Ultra DLC to the Nintendo Switch, including new chess sets and environments. The Pantheon game pack is confirmed and adds a Roman temple environment and set of Imperial soldier chessmen. So, not your usual chess setup! Do you have a final message for our readers? There’s a reason people are still playing chess after 1500 years – even in the age of video games the chess experience is one of world-leading deep tactics and strategies, and beautifully balanced gameplay mechanics. From everyone here at Ripstone, we really hope you give Chess Ultra a try and enjoy playing it as much as we enjoyed making it! If you want to find out more information about Chess Ultra on Nintendo Switch, you can find us on Twitter at twitter.com/ripstonegames or over on Discord at discord.gg/ripstone. We'd like to thank Matt Southern for his time. Chess Ultra is available on the eShop now and our review will be live this weekend. I really want this game. I love chess. Probably will buy. I love chess! Can you also use the Touchscreen to make moves? Looks cool but there's already very good chess apps on phones for free. As much as I like chess I think I'll pass on this. I want this, but I'm waiting for reviews and player feedback. I avoid buying broken games, because I've been burned before, so I've learned to be patient. I am glad there is a feature like this for this game. Many people could consider it to be shovelware, but it is far from that. This is made by the people who did Pure Chess on the Wii U and other consoles, and it plays great. Very happy to see this on the Switch. It, so far, is a high quality title with a lot of polish and options. I'm hoping they bring over a variant of Pure Pool as well. But the question is, how does it differ from Pure Chess? I'm going to get this anyway, though. @KoopaTheGamer One thing I like is real-time online matches with timers, whereas Pure Chess only really had 'chess by mail' games. @dystome Aiming to get the review up for tonight. I'm actually quite interested in this title. I played chess a lot with my friend when I was 10 or so but after that, I've not played at all (aside from against an AI that I programmed along with my own little chess game for one class) since no one in my family is into chess. The problem is that it needs two players with same skill level. This game seems to offer a good variety of AI difficulties and online when I'm ready for that but the thing that piques my interest are the more puzzle like challenges. Planning on purchasing quite soon. My son wants it too. Really great value for the price, and the feature set is fantastic! I'm glad I picked this up yesterday. Can't wait to pick this up. Chess (and its Japanese variant, Shogi) are my jam! Been meaning to sit down and make a chess and a shogi table. I purchased last night and can only offer first impressions. First, at $12, it is a no-brainer. Even though I'm not a serious chess player, it's the sort of game that is nice to have around when I'm not in the mood to do any twitch type stuff. I was a bit underwhelmed with the graphics though. I didn't buy this for the graphics, but I suppose I did expect to be more impressed based on the promos and screenshots I had been seeing. There is only a small handful of "environments" and piece sets. They're servicable, but that's about it. At first I figured that these were only initially limited and that you could unlock more, but I don't think that's actually true (maybe via DLC later?). I also found that the pieces are a bit harder to distinguish during play than they really should be, and that the 3D controls seem pretty useless. For example, the "rotate" function is not free, very limited in amount, and cannot be locked. And the zoom view seems pretty pointless. Why would I want a closeup view of my chesspiece? I mean, maybe if there was some fancy capture animation, but there isn't. So IMO the overhead view is the only other practical view beside the default one, but even in this case you can't custom scale it and you really need to use the checker pieces in order for them to be clear. Quite frankly, I would love for this game to have the option of a plain-old 2D view with simple profiles of the pieces shown like on chess.com. Another observation is that transitions between menu and environment views seems sluggish. The waits aren't that long, but considering the simplicity of the essentially static environments here, it seems like transitions could have been optimized to be much snappier. None of these things are showstoppers, though, since I really just bought this game to have a chess engine on my Switch. And between the music (which I like) and the few included environments, the game does manage to provide a nice relaxing atmosphere that lends itself well to playing chess. Add to this the tutorials, timer modes, tournament and other multi-player modes, and the game still provides me with my money's worth. Chess...The Switch finally has its killer app. @gildahl I also find it hard to distinguish the pieces and I hope they will improve this somehow. Also, you can lock the camera in any position by clicking the right joystick and still be able to use zoom after that. great publisher and the best chess game on a machine. @MadCow74 You're right, you can lock the camera position. Thanks for pointing that out!